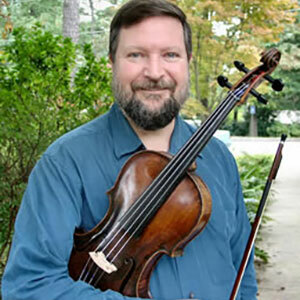 William Bauer, violin, has recently been a featured soloist with Boston Baroque, Chicago’s Ars Antigua, and Atlanta’s New Trinity Baroque. Highlights of his 2016 concert season include solo appearances in Budapest, Hungary; Berchtesgadden, Germany, Zagreb, Split and Dubrovnik Croatia, and the Belgrade Early Music Festival (Serbia). His most recent solo recording is Vivaldi’s Concerto in D Minor for viola d’amore with the Washington Bach Sinfonia for the Dorian label.